Rome & Paul: Mens Accessories to complement your style. Fashion and quality in a sustainable way and at friendly prices, all under the same roof. Rome & Paul strives to offer you the greatest shopping experience. We offer collections that are wide-ranging and varied for men around the globe. To us, design, quality, and sustainability are not a question of price: we should always offer inspiring fashion with unbeatable value for money. Rome & Paul does not own factories but instead buys products from independent suppliers who have become close long-term partners of Rome & Paul. We work to bring about long-term improvement for people and the environment – in the supply chain, the garment lifecycle and the communities in which we are active. We believe fashion is a business of optimism, and in that spirit, we continue to grow and evolve. 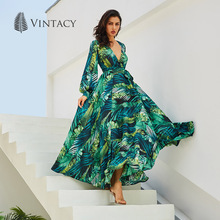 Free shipping and free returns, mobile shopping, and exciting new retail partnerships offer us continued opportunities to serve more customers in more ways with a fresh, relevant shopping experience and inspiring style. Fashion changes. Shopping changes. Our commitment to happy customers doesn’t. Sign up for our newsletter, and get 10% off towards your first purchase.